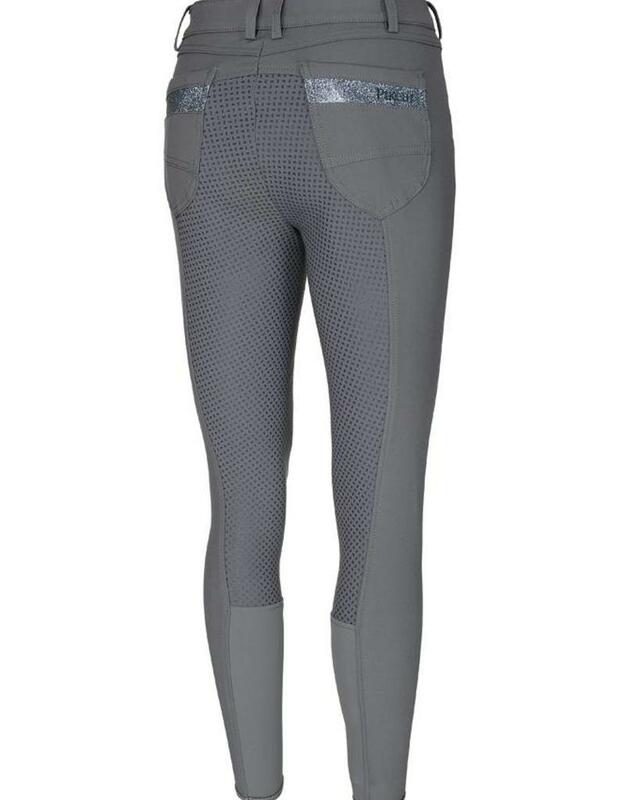 Fashionable ladies breeches with medium waist height made of bi-elastic microfibre fabric with 3/4 GRIP seat panel, tone-on-tone. 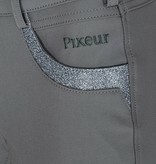 In trendy 4-pocket-style with elaborate glitter-applications at the front and hind pockets. 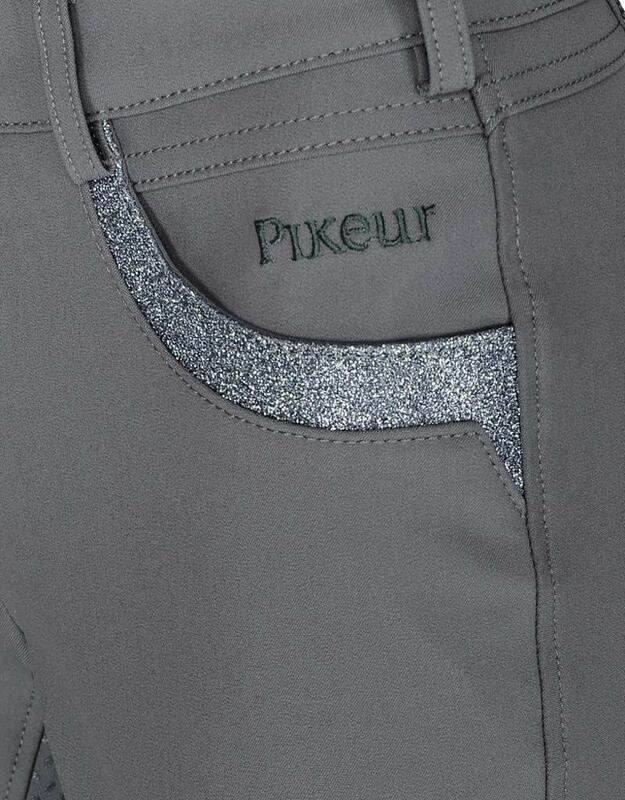 With Pikeur-embroidery at the left front pocket and on the right hind pocket. 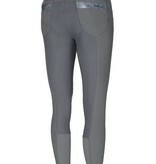 The stretch leg closure in the inner side ensures an optimum fit without hook and loop fastener fastening. Material: 65% cotton, 28% polyamide, 7% elasthane.